It’s hard to believe, but just a hop, skip and a jump from New York you might find yourself wandering into an image of France. Eastern Canada is still undeniably Gallic even 500 hundred years after the French occupation, with its quaint cobblestone streets, wide sidewalks lined with bistros and stately châteaux. But it’s not just in the east of the country that you can experience this intertwined heritage. Tucked away at the heart of western province Alberta in the chilly city of Edmonton is a little taste of French heaven. 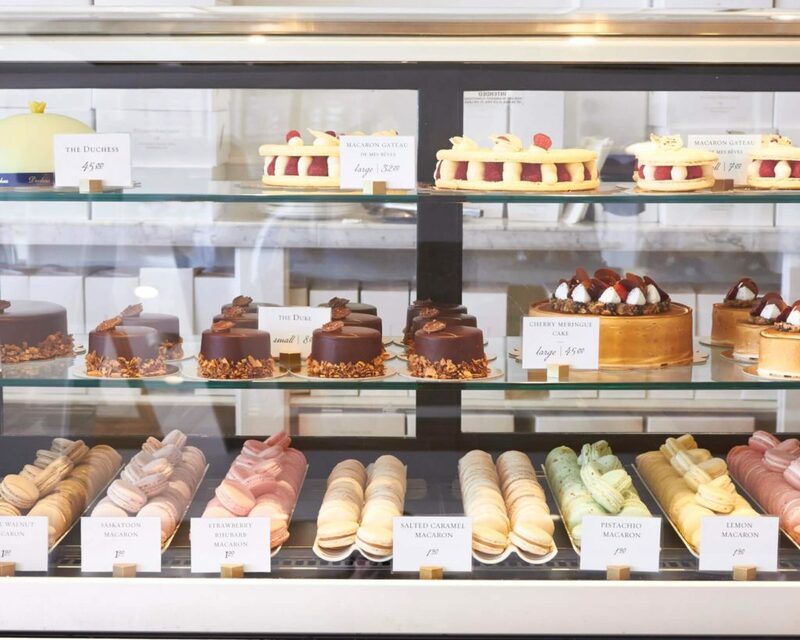 Duchess Bake Shop is a supreme patisserie inspired by the pastry shops of old France. One of the most talked about foodie destinations in North America, this local gem is well worth a stop. 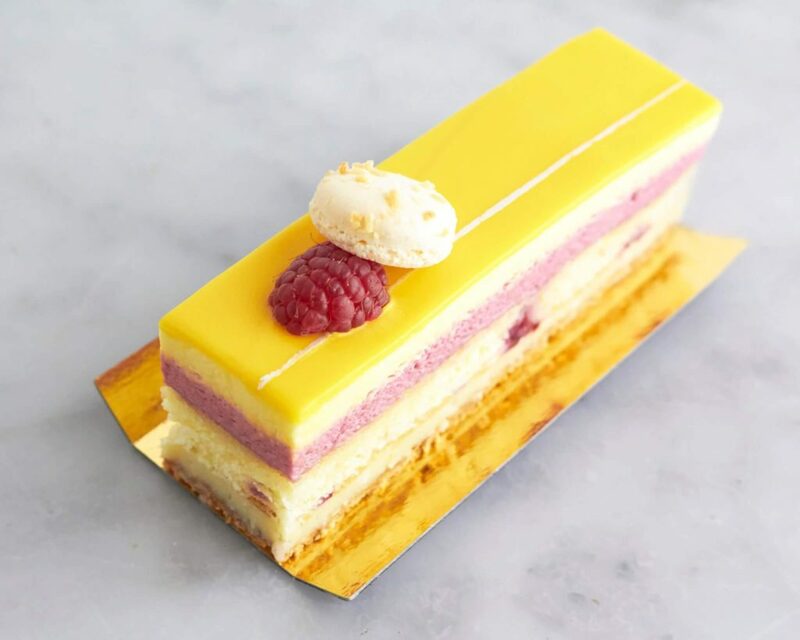 Not only does Duchess bake an ever-changing array of mouthwatering French pastries – from brioche pépin and croissants to lemon meringue tart and chocolate éclairs – the team also share their expertise. They sell premium ingredients in the attached store and offer dedicated baking classes to students of all levels. Forks at the ready. Credit: Sarah Hervieux/​Duchess Bake Shop. Duchess was dreamed up by home baker and co-owner Giselle Courteau after a childhood spent learning how to make cookies and cakes at her mother’s elbow. She later travelled to Tokyo, after giving up on her master’s degree in library sciences. It was in this bustling, Japanese megacity that she taught herself how to make pastries by cutting open those she bought from patissiers and painstakingly recreating them. Macarons, macarons, macarons. Credit: Sarah Hervieux/​Duchess Bake Shop. 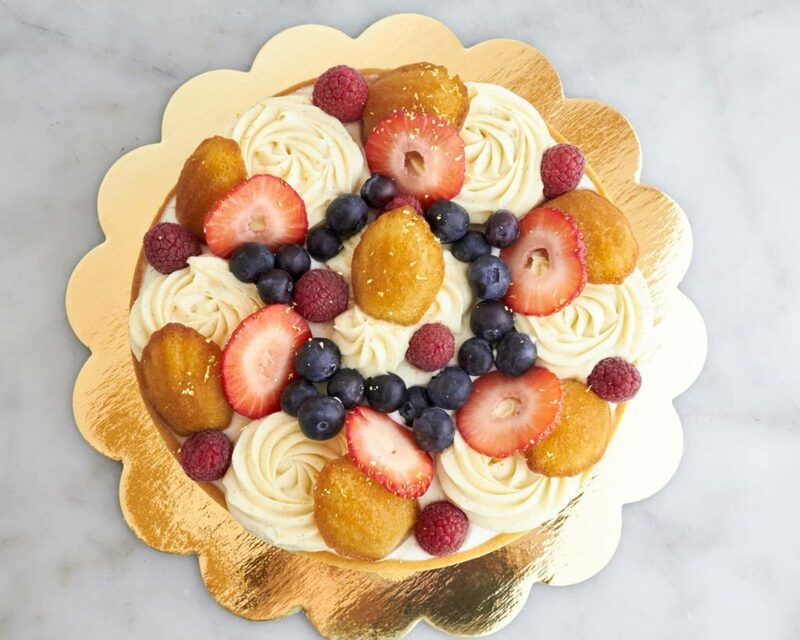 Everything at Duchess Bake Shop is made in-house from start to finish (even the chocolate garnishes), using fresh and, where possible, locally sourced ingredients. Products they champion include Valrhona chocolate from France, Anita’s organic flour and 84% churn butter for that classic French butteriness. This dedication to their craft is what makes them so enduringly popular. So what goes flying off the shelves? 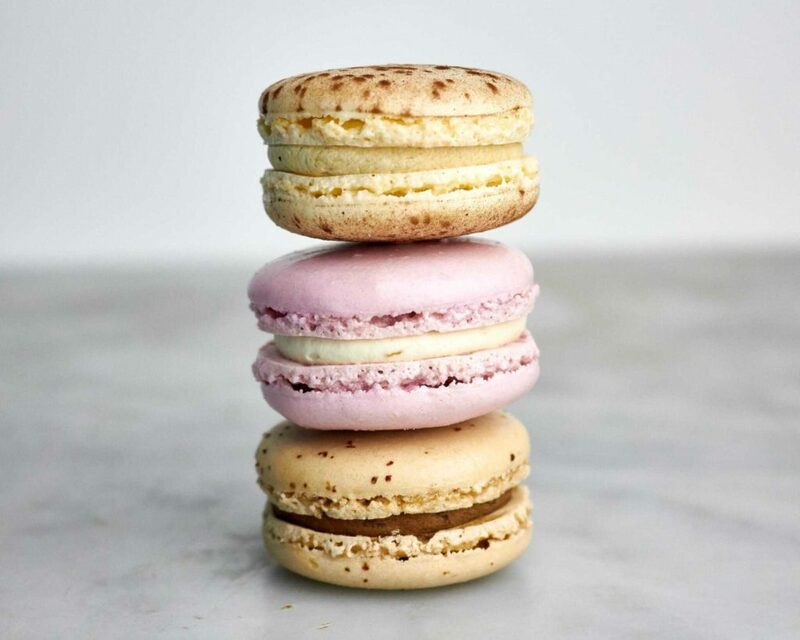 ​“Our most popular product by far is the French macaron,” Courteau said. ​“During busy holidays, we can sell up to 3000 a day.” In fact, Duchess was one of the first places in Edmonton to serve up these mini French treats, much to the locals’ delight. Still, demand for quality products is a laborious thing to keep up with, and not all pastries are equal in this respect. ​“The most difficult and time-consuming products to make are the viennoiseries (made from laminated dough), such as croissants and danishes. The process takes a few days and because they are all handmade and rolled, it involves quite a bit of labour.” Indeed, a day in the life of a pastry chef is a bustling affair. Pastry perfection. Credit: Sarah Hervieux/​Duchess Bake Shop. The many bite-size treats are indeed hard to resist. Credit: Sarah Hervieux/​Duchess Bake Shop. The team behind Duchess Bake Shop are keen to pass on their craft. The ingredients store, Duchess Provisions, sells the finest flours, spices and extracts used in their pastries to budding bakers, alongside bespoke equipment and cookbooks. Duchess’s own cookbook sold 5,000 copies in the first six weeks. It’s now a bestseller and the proud recipient of the accolade ​‘best cookbook’ from the Paris Book Festival. Inside are stories of the self-taught Courteau’s early pastry disasters centred around a tiny toaster oven in her crammed Tokyo apartment. 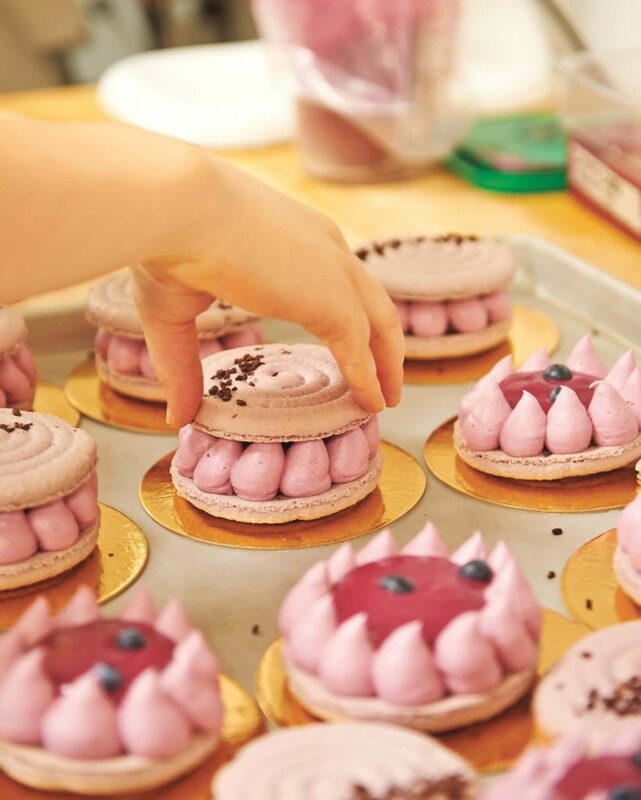 Duchess also offers Atelier courses that teach pastry enthusiasts how to get started with the ever-challenging macaron or how to perfect the shop’s famous Bûche de Noël. Classes typically run for three to four hours with just a handful of students learning hands-on techniques from a professionally trained pastry chef. These classes are so popular they can sell out in mere minutes. 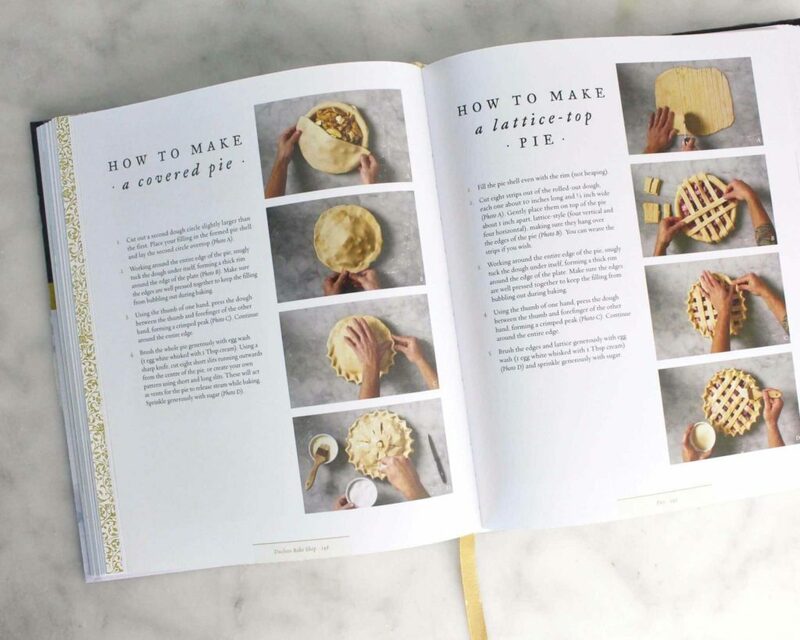 The must-have bakery cookbook. Credit: Sarah Hervieux/​Duchess Bake Shop. Such is Duchess’s popularity that it hasn’t been able to stay in one place since it was founded in 2009. The operation has expanded quite a bit in the past couple of years, with their sister Café Linnea just a few blocks away serving a hybrid of French and Scandinavian cuisine. So what’s next for Courteau? Final touches. Credit: Sarah Hervieux/​Duchess Bake Shop. It’s perhaps this combination of faithfulness to the French pastry tradition and delightful humbleness that has made Courteau’s dream not only a reality, but a roaring success – and one we highly recommend you sample next time you find yourself in town.